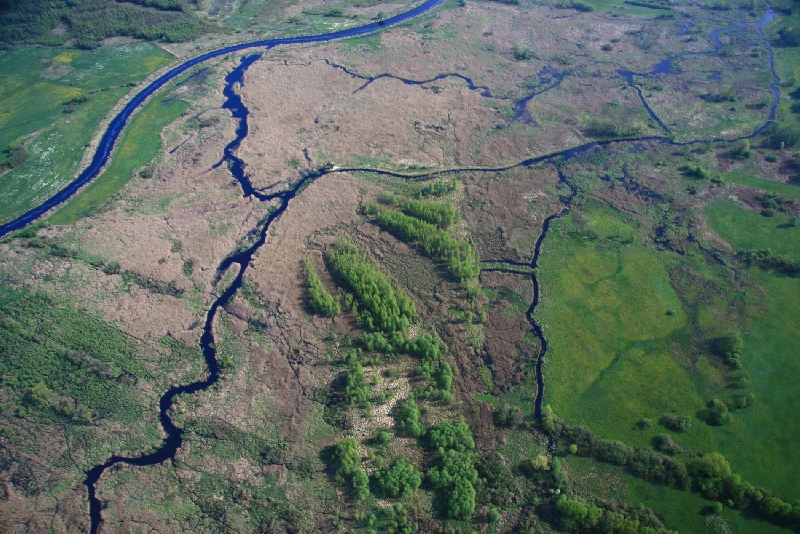 The site is located downstream of the Narew National Park in its buffer zone. The National Park protects the natural anostomozing stretch of the river. In the sixites  the river below of the Park was channelized and straightened for the agricultural purposes. This pressure has caused degradation of the anostomozing character by cutting off and therefore shallowing and overgrowing of side channels and losses in biodiversity. Almost twenty years ago it was decided to restore most of the upper part of the degraded stretch, adjacent to the National Park. The main objectives were to bring back a natural value of the river valley and to restore the natural anostomozing river network. The main applied measures were: thresholds to rise water level, divert some of the water into old side arms and slow down the water outflow from the area, and redigging, clearing and re-connecting the old side channels.